Date blocks of 8 of all these are available on request and while stocks last. They have been added to our webshop, but not in the Recent Additions category - look at the individual listings within 2014. 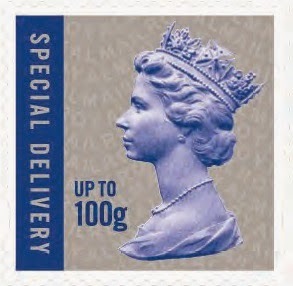 Of more interest to collectors of the basic stamps, we are expecting to have stocks of the first Special Delivery reprint, the 100g stamp with M14L year code very soon. Cylinder numbers and Date Blocks will be available. 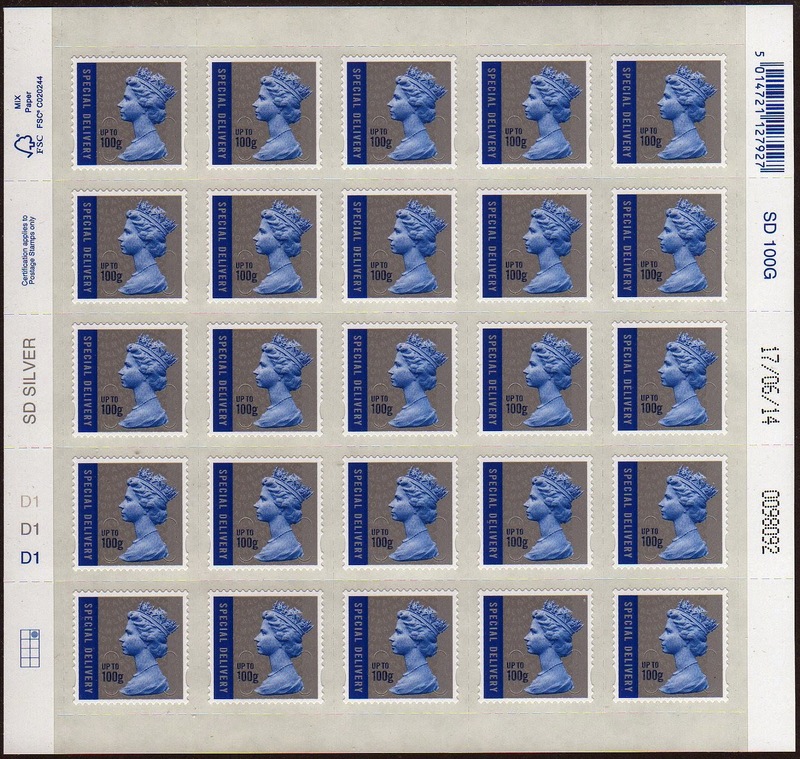 This will be numbered 2985.4 in our system and is now available to buy. 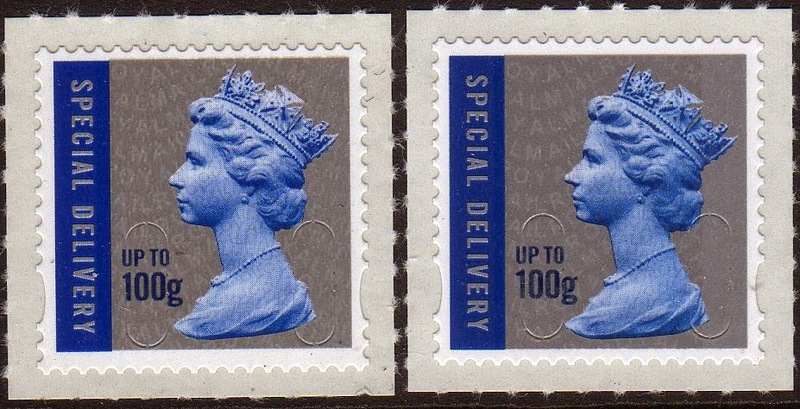 Comparison with the original - because of the silver printing the coding in the iridescent ink shows up in ordinary scans. 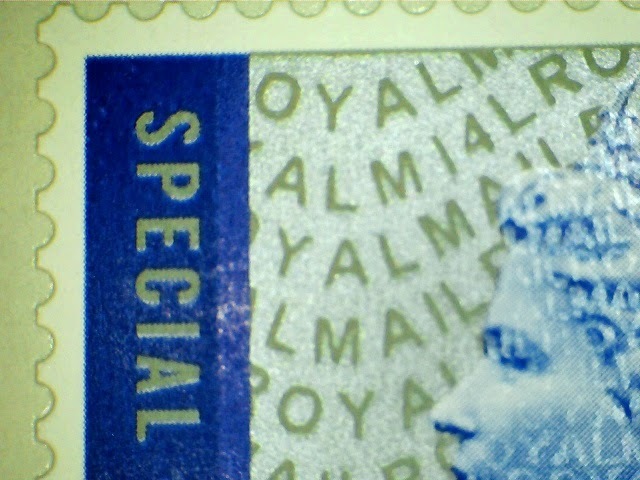 The blue ink on the new stamps is deeper, but no more than might be expected during the print run.